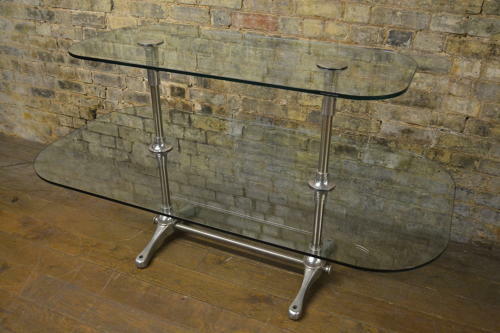 We have a pair of great glass display tables available now at Binder's. These tables were designed in the 80s by Nigel Coates for Jigsaw. This one is the smaller piece, with two layers of shelving and sturdy chrome feet.